Looking for something to do a little closer to Levi’s Stadium? If you’re starting to plan your Super Bowl 50 vacation, you might have realized the Super Bowl is actually in Santa Clara. All the big events will take place in San Francisco, even those the stadium itself is a little farther north. So maybe you’re looking for fun things to do a little closer to where the Big Game will take place. But understandably, you have more interests than just NFL football. So here are some ideas for things to do in the area that don’t have to do with the old pigskin. The Bay Area is something of a tech haven. Maybe you’ve heard about the Intel Labs in a commercial? 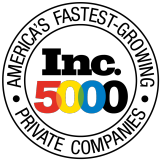 Well here’s your chance to see what the company is doing up close. It’s located off Highway 101, if your mapping out your route. The Intel Museum is a phenomenal way to learn more about technology and its new innovations. If you’re bringing friends with you to the Super Bowl, who maybe aren’t the biggest football fans, this could be a great stop. Woo! Let’s ride some roller coasters. For the bold and daring, this Six Flags amusement park is the perfect way to spend a day with family and friends. The park includes rides, a water park, Planet Snoopy, and live entertainment. Be careful not too eat too much cotton candy and then go on the looping roller coasters! Now for some nature! The Ulistac National Park, is the only dedicated natural open space in the city. It boasts over forty acres of beautiful scenery along the Guadalupe River. The park is the perfect place to get away from the hustle and bustle of Super Bowl hysteria. Bring a book, go for a walk, and enjoy the scenery in one of the state’s most beautiful areas. Take a deep calming breath, and be with nature. You can still skate, even if your in California! From November 21-February 7, everyone has the chance to put on some skates and enjoy the “snow” at Santa Clara Central Park. Take the family and see who can stay on their feet the longest! Or enjoy skating if you’re from a part of the country that doesn’t get to skate on the lakes in winter! 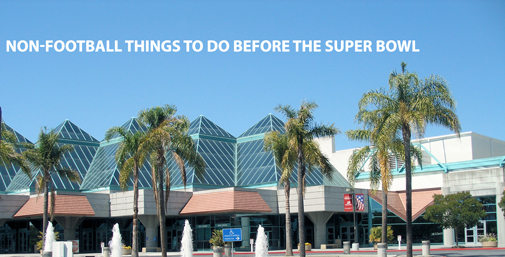 We hope you found something new to do in Santa Clara before heading off for the Super Bowl! There’s always something new to try for football, and non-football fans alike!